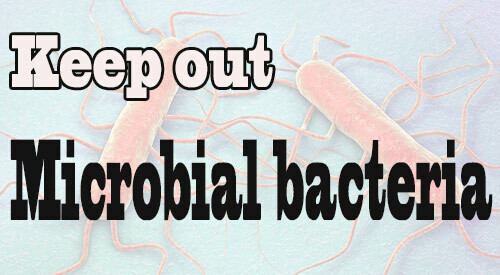 We need to keep out Microbial Bacteria from the food chain! With the Centers for Disease Control and Prevention reporting some 48,000 cases of food borne illness events each year, resulting in some 128,000 hospitalizations and 3,000 deaths, food borne illness outbreaks are serious concerns. This is an added stress to manufacturing facilities that produce smoked food products as they must adhere to multiple regulations regarding the raw food product, smoke process and final smoked food product. The last thing a facility needs is to worry about the wood material used in the smoking process but that should be a priority for these facilities. Why? Escherichia coli, Listeria monocytogenes, Salmonella enteritidis, Saccharomyces cerevisiae, Lactobacillus plantarum, Pseudomonas fluorescens, and Aspergillus flavus have all been shown to survive on plastic material meaning that if a supplier utilizes the standard GMA pallet commonly found in the grocery industry, these microbial bacteria or viruses survive and can flourish increasing the risk that they can be introduced to new food product placed on these recycled plastic pallets. With the recent outbreaks affecting romaine lettuce (from E. coli) and beef (from salmonella), attention is being drawn to other potential hosts for the transfer of the bacteria. We know the common hosts: unsanitary conditions at a farm or packaging facility, food handlers failing to employ personal hygiene standards prior to working with food, food exposed to climate conditions that stimulate the bacteria development. One potential host that has not been fully publicized is the packaging materials used to transport. Unfortunately, it is the lack of enforcement in this area that puts the smokehouse industry at further risk. Many smokehouse operations purchase wood product for the smoke infusion from companies that supply the wood chip in paper bags that are then stacked on wooden or plastic GMA pallets. Although some of these suppliers may be able to attest that the wood chips have been kiln dried or heat treated to a certain temperature, none confirm to a heat level that would kill all the bacteria previously listed. Specifically, listeria, which requires a temperature of 74 °C/165.2 °F to be killed, is a key concern in smokehouse operations that include meat, poultry and fish products. The risk is elevated by the potential for these bags to be penetrated by a stray nail from a wood pallet or sharp edge of a plastic pallet. If the pallet contains the bacteria, it is a host that can transmit to anything it has contact with. In previous testing of wood pallets, one or more of salmonella, E. coli, and listeria were found to be present in as much as 6.8 million spores/gram which is classified as an extremely high count. Given that domestically, there is no requirement for wood pallets to be heat treated for movement between states, the contamination can be passed to multiple locations with food when the pallet remains in the transportation system. Although there have been efforts to change the transport of food by road and rail through the Food Safety Modernization Act (FSMA), to date nothing has been regulated on the packaging materials that the food is placed on. One encouraging finding is that cardboard materials, if correctly stored, reduce the potential for cross-contamination of food due to a quicker viability loss by spoilage and pathogenic microorganisms compared to the plastic packaging. For this reason, SmokinLicious® only packages our smokehouse wood chip products in cardboard packaging that is then placed on a pallet that has been heat treated to an internal core temperature of 75°C/167°F and holds this minimum temperature for 75 minutes. We adhere to a higher heat treatment standard as the health and safety of everyone using our culinary products is of highest importance. We believe that hardwood used for cooking should be regulated independently and adhere to stricter standards than those currently in place for the general wood industry. Until that regulation is written and enforced, SmokinLicious® will self-regulate our product to this level. 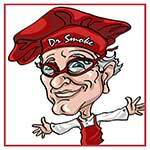 At SmokinLicious®, we believe in Quality and Safety over profit! Isn’t it time your smokehouse joins us and takes a proactive stand against microbial bacteria like listeria, salmonella, and E. coli and help in the fight to rid our foods of life-threatening bacteria. What is your biggest concern in your smokehouse food operation? Leave us a comment to share your views. 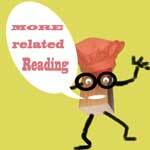 Bringing you informative recipes, techniques, and the science beyond the fire, smoke, and flavor. That’s SmokinLicious®! More related reading on smoking & Grilling tips and technique see our directory on previous blogs! Dr. Smoke- we do our part thru heat treatment to reduce microbial bacteria risks!